Things are getting easier and easier – and that includes the restaurant business, too. Your customers like that trend very much. That’s why you should let them use an iPad restaurant online ordering system. But don’t get just any online food ordering system – make an informed decision. Nowadays, it’s not that easy to stand out. There’s a lot of competition and it’s really hard to think of something that nobody’s thought of before. 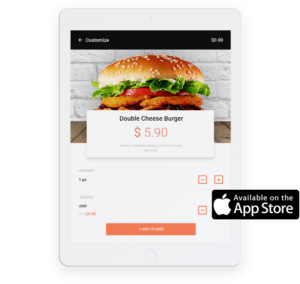 It’s important to use all the available tools that can get you closer to the customers – like an iPad restaurant online ordering system. What you see is a piece of marketing strategy that could increase your sales and what your customer sees is a convenient way to order food. That means: win-win. Your sales should never be limited to what your customers order when the waiter approaches them – they should be based on online sales just as much. Do you know how many people in the U.S. use iPads now? Over 80 million! Now, imagine that at least some of them install your restaurant mobile app and use it to order food from your restaurant. Your sales would increase significantly but before you can start dreaming about getting through to all those customers, you have to invest in a proper online food ordering system. 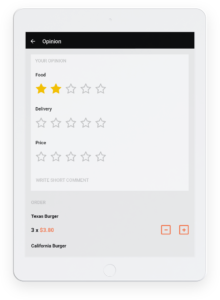 First things first, before you can take advantage of a restaurant mobile app, you have to invest in an online food ordering system – like UpMenu. An application based on this system is incredibly easy to use. When your customers are hungry, they don’t want to struggle with the order – they want to give you all the necessary information as fast as possible. An iPad restaurant online ordering system allows them to do just that. When a customer opens your iPad restaurant online ordering system, they should already get the feeling of what your restaurant is like. They should almost taste the deliciousness of your meals and experience the cuisine through the look of the restaurant mobile app. You can show them the uniqueness of your business by adjusting the application to your needs. Upload pictures, change the colors – do everything to show your customer why it’s good to order at your place. Statistics show that there are many more online payments made today than a few years ago. Online sales have reached 17.4% and are growing quarter by quarter, year by year. 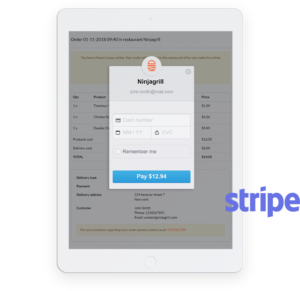 As you invest in an iPad restaurant online ordering system, you can count on many more online orders – because online ordering and paying should go hand in hand. Customers find it all very convenient. Customers like the feeling that they are not just another person filling your pockets with money – they want to know that you’re not just a businessman, but also a man, a human, a person. The one that takes the time to talk to them. And if you can’t talk to them directly, you can always get in touch with them online – through push notifications. Get in touch with your customers via your online food ordering system, let them know about every special offer and every addition to your menu. You can’t cook anything worth eating if you don’t have proper ingredients. The same goes for you restaurant – marketing simply won’t work correctly if you don’t have the right tools to promote yourself. 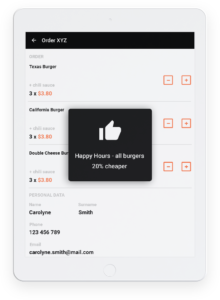 Luckily, the [UpMenu system] gets you all the tools you need to build your customers loyalty and advertise yourself properly. 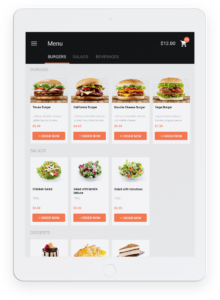 If you have several restaurants, you won’t have to get a separate iPad restaurant online ordering system for each of them – UpMenu system can handle all of them at once. 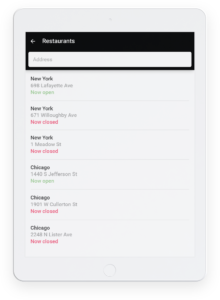 You won’t have to upload all the information for every single restaurant, one by one – just do it once and you’ll cover them all. This is also good news for your potential customers – they will be able to see the full offer using just one restaurant mobile app! Upgrading your restaurant online marketing is a small investment compared to the profit it could bring you. However, it’s not all about the money. 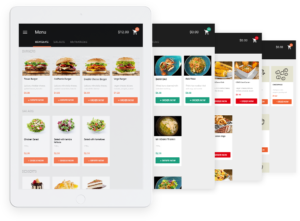 Find out all the advantages connected with getting an online food ordering system by reading this article: 9 advantages of online food ordering for restaurants.